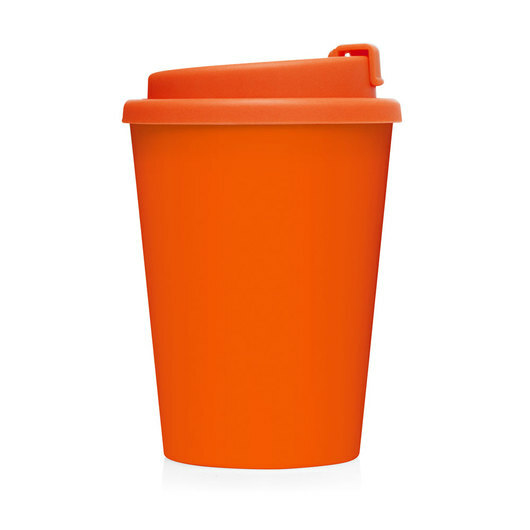 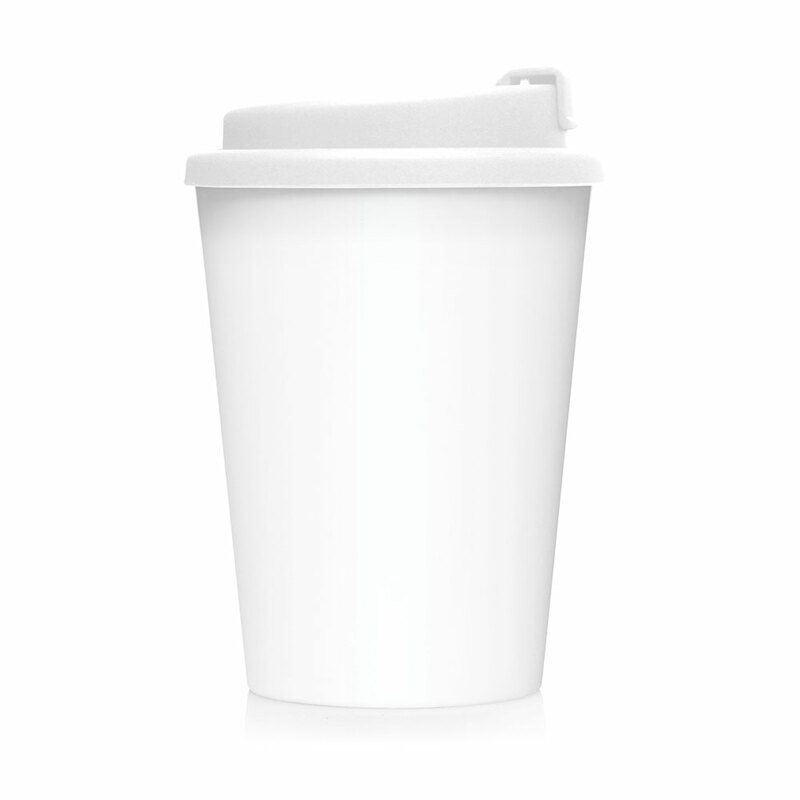 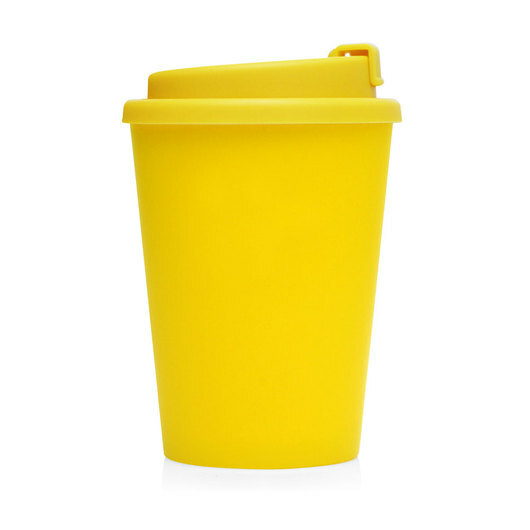 A high quality re-usable coffee cup waiting for your logo to get printed! 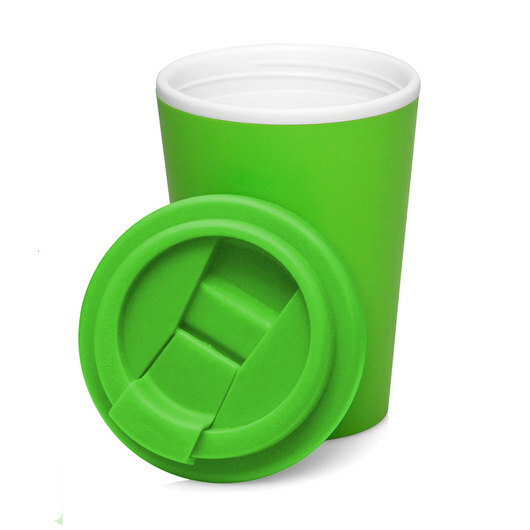 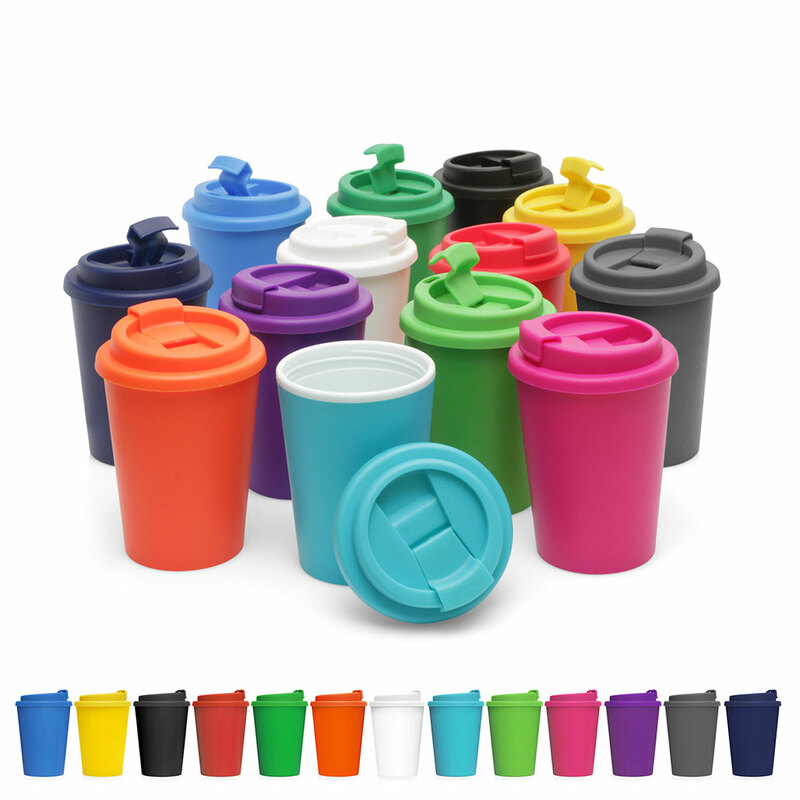 These new double wall eco cups are the perfect companion for enjoying your favourite beverage on the go! 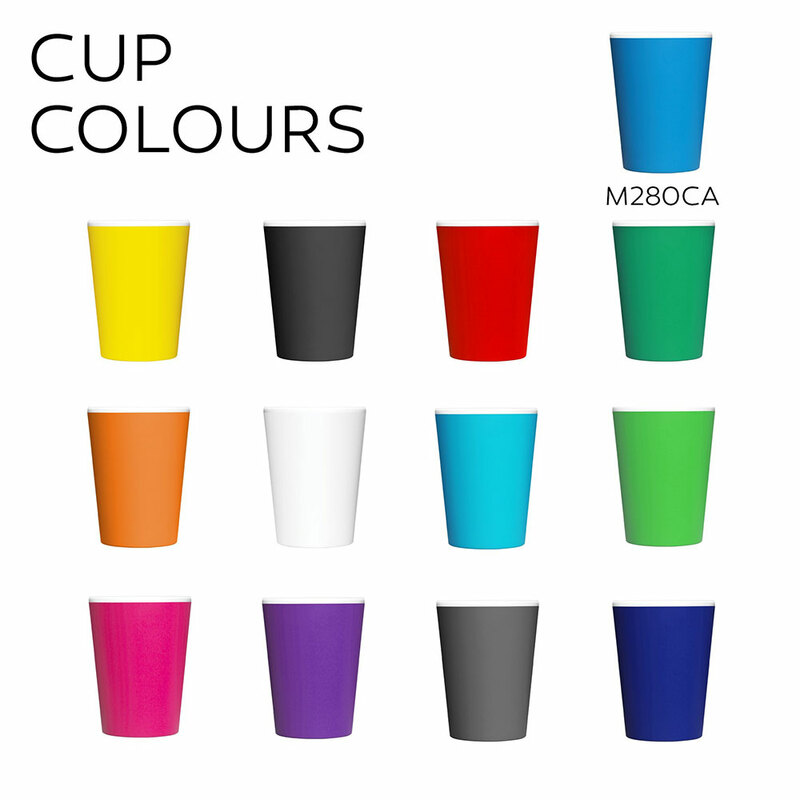 They come in a great variety of colours and can be mix 'n' matched to best compliment your business colours. They have a 356mL capacity and feature a screw-on threaded lid and double wall build that will keep your coffee or hot beverage hot for even longer. 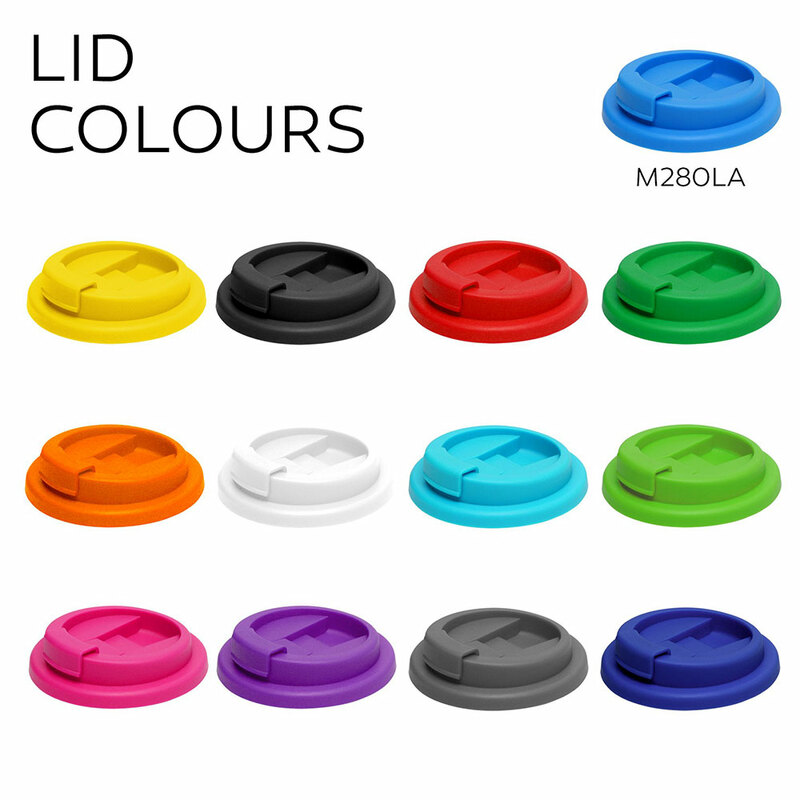 What colour combo do you like best?